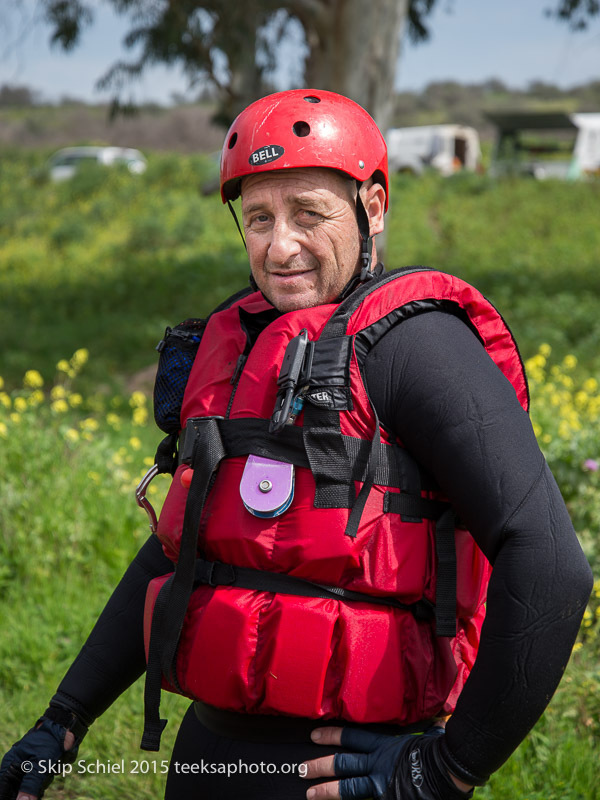 Periodically Israeli organizations offer extensive training in swift water rescue to volunteer first responders, including police and military. Along this fast flowing stretch of the upper Jordan River (near Rosh Pina in the Upper Galilee) trainees practice techniques such as rope rescues. Tooshey Netz, trainee from the southern Negev desert where flash flooding can kill.